At Armco Asbestos Surveys we can carry out different types of asbestos surveys to suit your individual requirements. The purpose of each type of asbestos survey we provide is to help duty holders manage asbestos on their premises. Our asbestos surveys will provide you with sufficient information to compile an asbestos register and plan so that you are prepared. 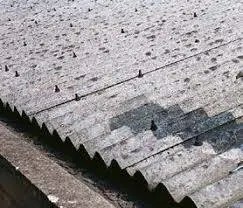 An asbestos register should identify the location(s) of any asbestos within the building and the type of asbestos found. Our asbestos surveys will also enable you to perform a risk assessment for your business premises, and to write an asbestos management plan to manage any risks that are produced. 1. We shall, as far as is reasonably practicable, locate and record the location of the presumed or known ACMs, the extent to which they exist and what type of asbestos it is. 2. We shall inspect and record information on the accessibility of the presumed or known ACMs, what condition it’s in and and any surface treatment that’s required. 3. We shall determine and record the type of asbestos found, either by collecting representative samples of any suspect materials and sending them to our UKAS accredited laboratory for asbestos testing, or by presuming based on the product type and its appearance. The duty to manage requirement in CAR 2012 regulation 4 allows us to ‘presume’ materials to contain asbestos. In the case of one of our Asbestos Surveyors strongly presuming asbestos, they will only do so if the material looks as if it’s an ACM or that it might contain asbestos. Asbestos containing materials can be identified by conducting a visual inspection of the material. Our Asbestos Surveyors are highly trained in identifying asbestos products when conducting asbestos surveys. A material may also be strongly presumed to contain asbestos if a similar construction material has previously been tested and confirmed by a laboratory to contain asbestos. There will also be cases where our Asbestos surveyors will know of certain building materials where asbestos is known to have been commonly used within the product at the time of installation. 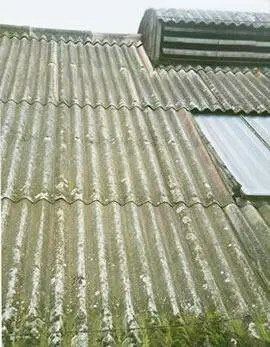 Examples of such materials known to contain asbestos are corrugated cement roof and wall sheeting, cement water tanks, cement gutters and drainpipes, ceiling tiles and insulating boards (AIB). Other materials may also be presumed to contain asbestos without actually haven taken a sample because they have the appearance of asbestos. For example, fibers that are clearly visible on the thermal insulation on a pipe. In some situations, when conducting asbestos surveys, a material may be presumed to contain asbestos because there has been no laboratory analysis confirming that it’s free from asbestos. The Asbestos Surveyor may also decide it’s easier under the asbestos management plan to presume that certain materials may contain asbestos. If an area can’t be accessed or inspected for whatever reason, then materials must be presumed to contain asbestos, unless there is sufficient evidence that it doesn’t. Certain materials will be known to be asbestos free or are highly unlikely to contain asbestos. Such materials are glass, wood, stone, metal etc. 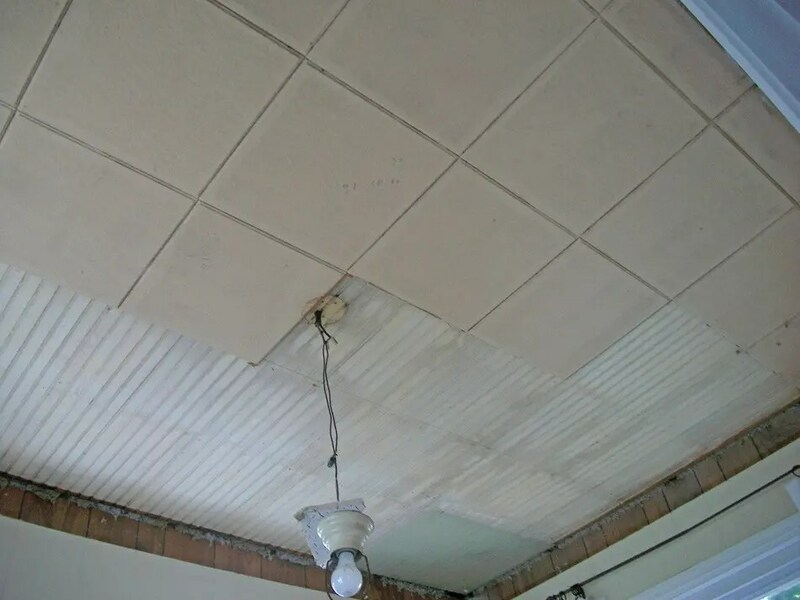 But there are other reasons for an Asbestos Surveyor to come to the conclusion that a material doesn’t contain asbestos when conducting asbestos surveys. a) certain instances where non-asbestos substitute materials were specified in the original architect’s or quantity surveyor’s plans, or perhaps in any subsequent refurbishments that have been carried out on the property. c) Any buildings constructed after 1985 as the use of amphibole ACMs such as asbestos insulating board was prohibited. 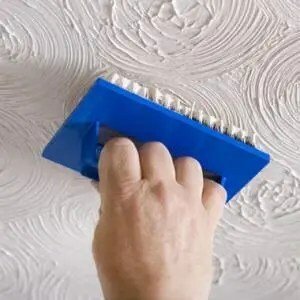 d) Any buildings constructed after 1990 where decorative textured coatings were used, as those containing asbestos were prohibited in 1988.
e) Any buildings constructed after 1999 when nearly all chrysotile products were prohibited from use. However, it isn’t always that straightforward for an Asbestos Surveyor to conclude that there are no ACMs present when carrying out asbestos surveys. There may be scenarios where ACMs have been used for convenience by tradesmen in renovation projects, or in cases where asbestos has previously been removed and asbestos debris or residue has been left behind. If there are any areas where asbestos has been removed previously, then the regulations require a re-inspection to be performed on that particular area. The type of asbestos survey you require will vary during the lifespan of the property, and you may find that several asbestos surveys may be needed over time. An asbestos management survey will be required during normal occupation and use of the building. This is to ensure that ACM’S are continually managed. An asbestos refurbishment or asbestos demolition survey will be necessary when the building, or any part of it, is due to be renovated in any way or demolished. It is very likely that larger properties will require a mixture of different types of asbestos surveys, for example a boiler house that is to be demolished will require a refurbishment or demolition survey, while offices at the same location will require a management survey. Refurbishment asbestos surveys may be required over the subsequent years to rooms or floors that are being upgraded. Book one of our Asbestos Surveys now! For more information about our Asbestos Surveys and the services we offer, speak to our team now on 0161 763 3727, or alternatively complete the form opposite and we’ll call you back. As well as asbestos surveys, we also offer comprehensive Asbestos Awareness Training. We’ve provided asbestos training to thousands of companies through the UK both large and small enabling them to deal with certain aspects of Asbestos themselves. See our dedicated training site for more information.